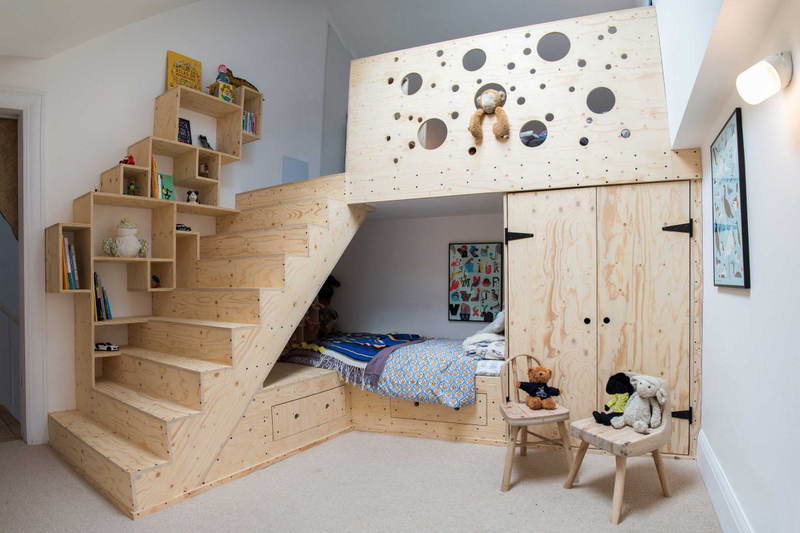 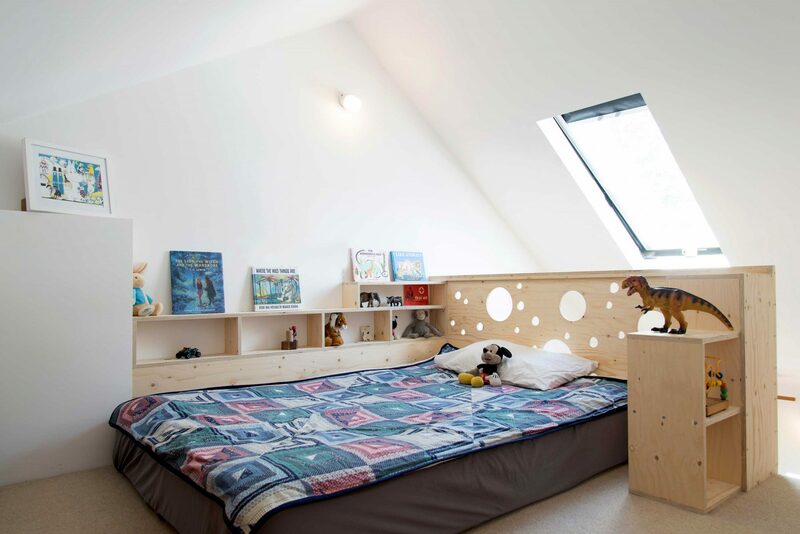 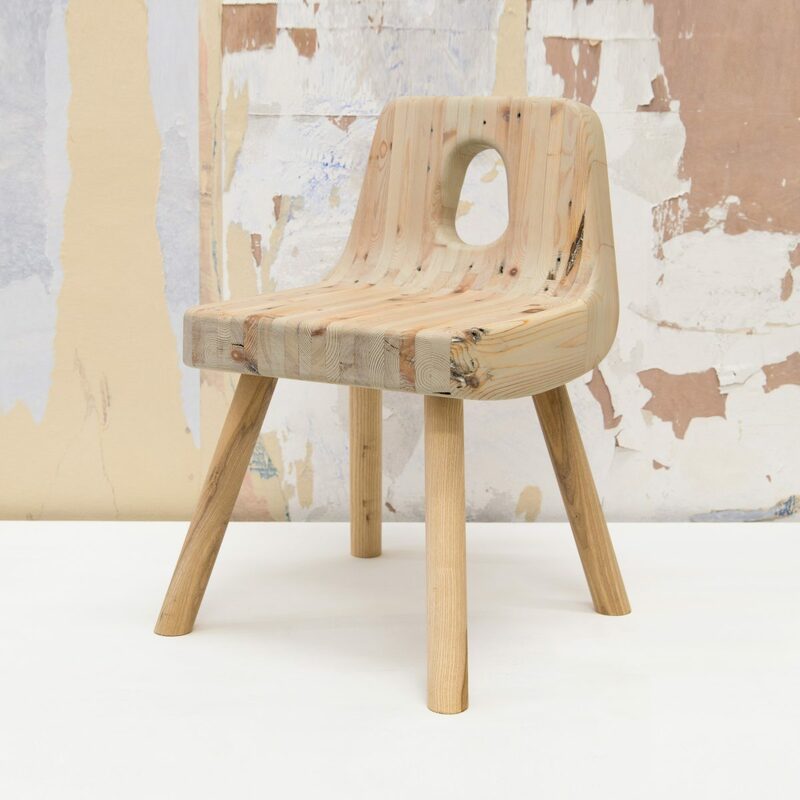 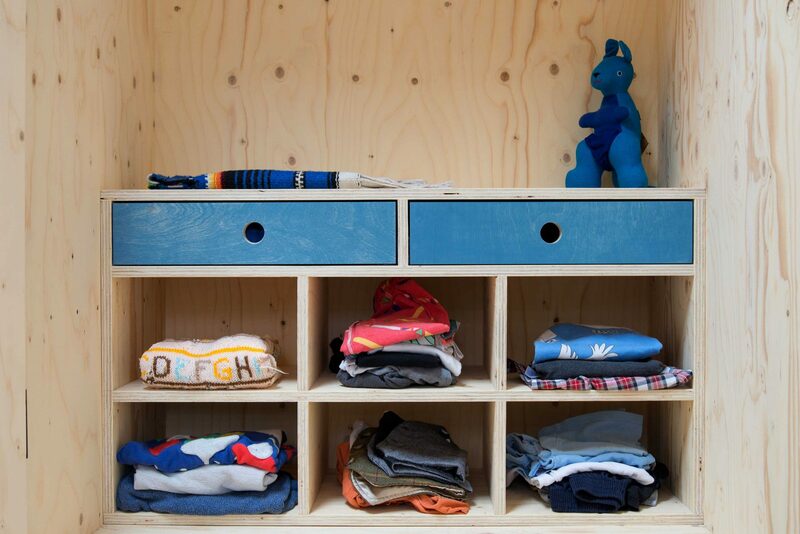 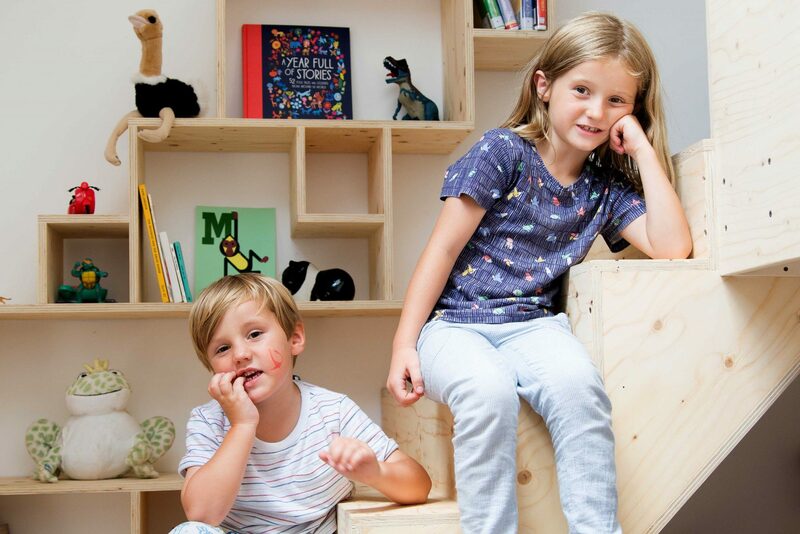 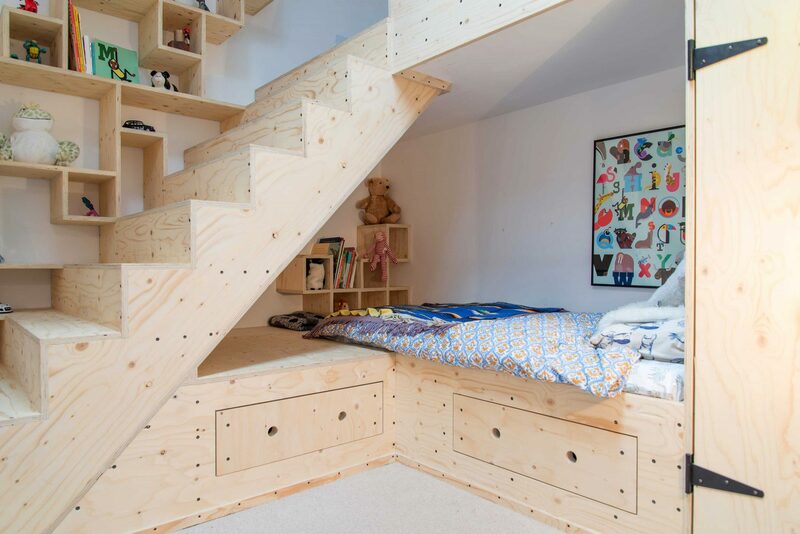 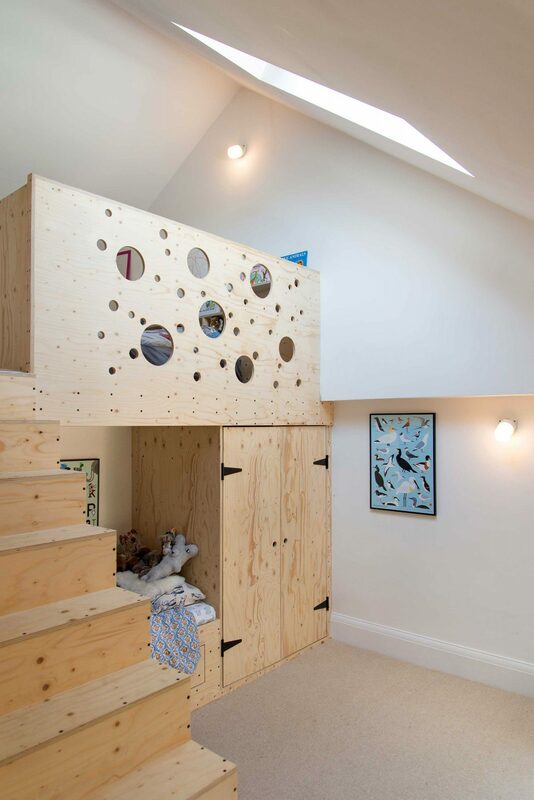 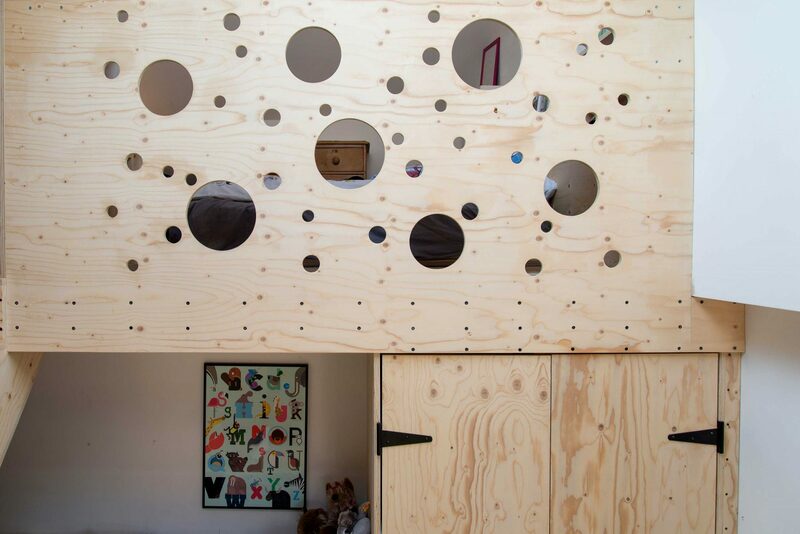 A fun, playful kid’s bedroom made from spruce plywood that made the most of a converted mezzanine roof space. 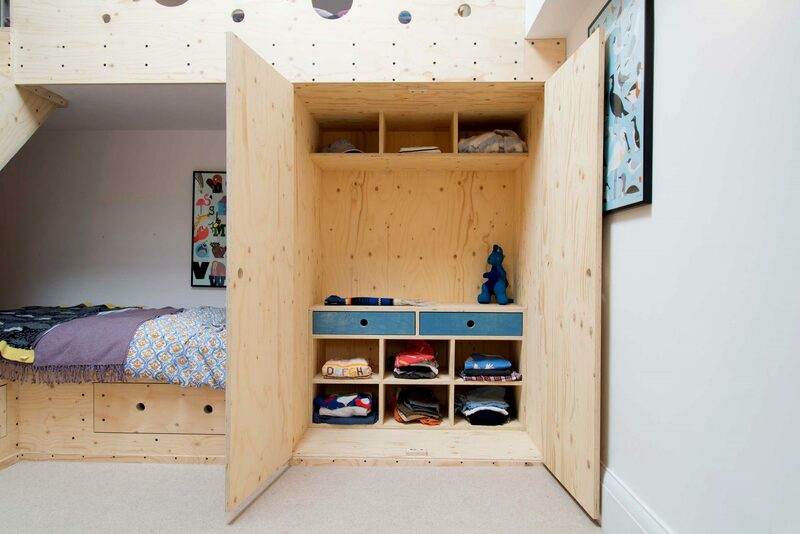 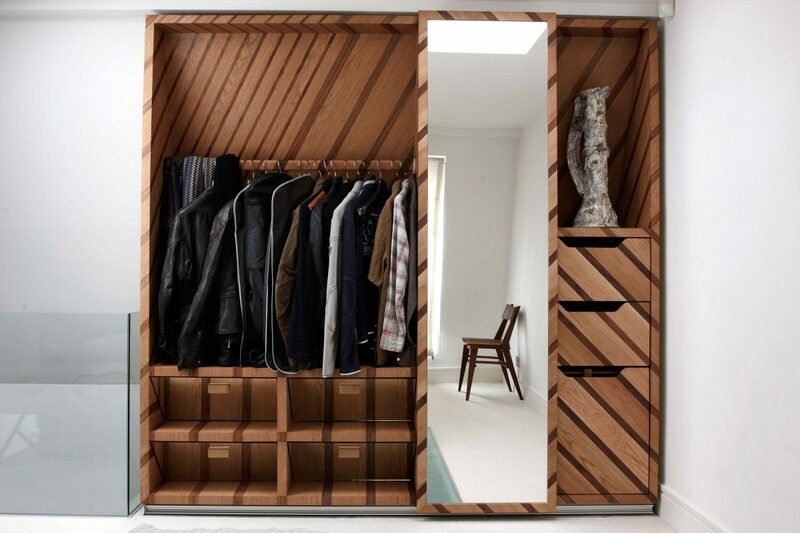 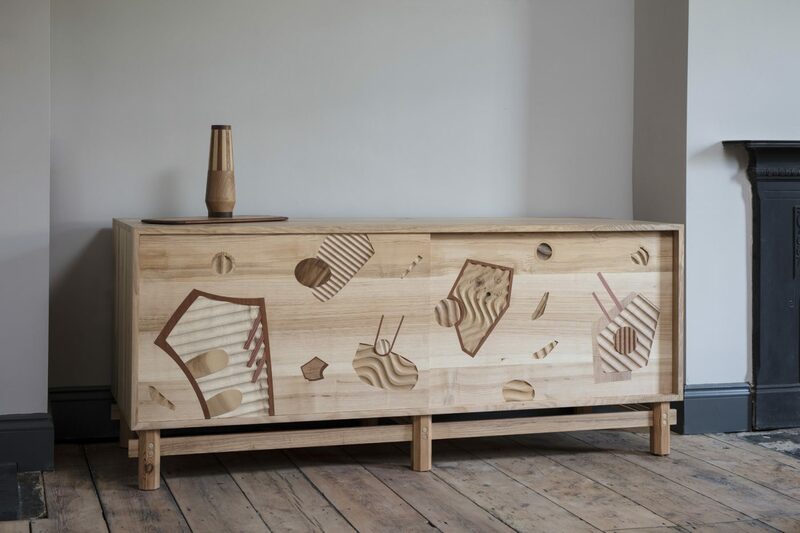 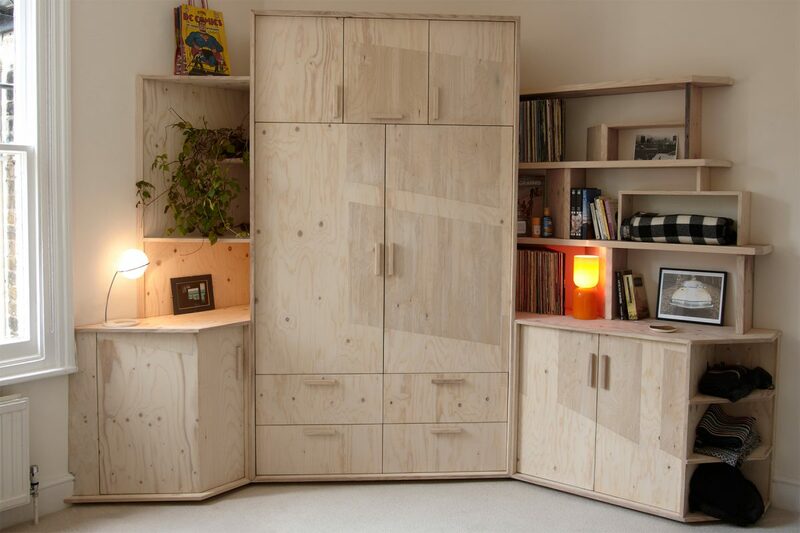 It featured an integrated wardrobe, staircase, bed, toy box, library, and secret storage. 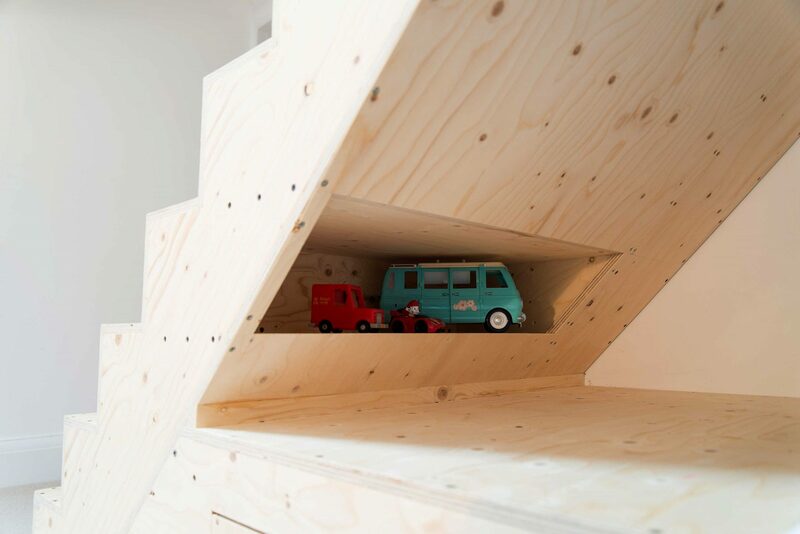 The pint-sized collaboration was an immediate hit.